This grilling feast is fit for a king! They won’t be sure just where to start after receiving this savory gift packed with everything you need to become a grilling superstar. 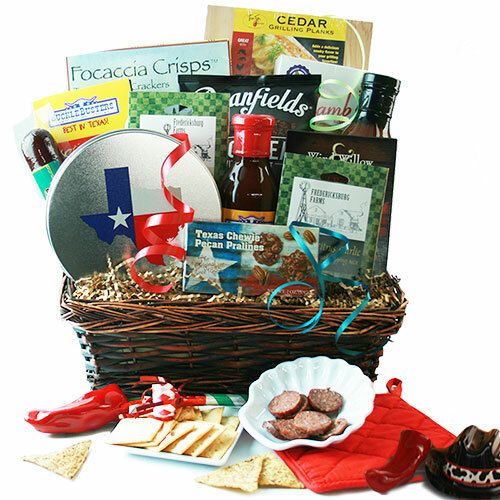 Loaded with a finger lickin assortment of BBQ sauces, seasonings and rubs from Fredericksburg Farms, tortilla chips, salsa, pasta salad, Texas chili mix...the list is endless! CONTAINER SIZE: 18.75" x 14.25" x 5.5"